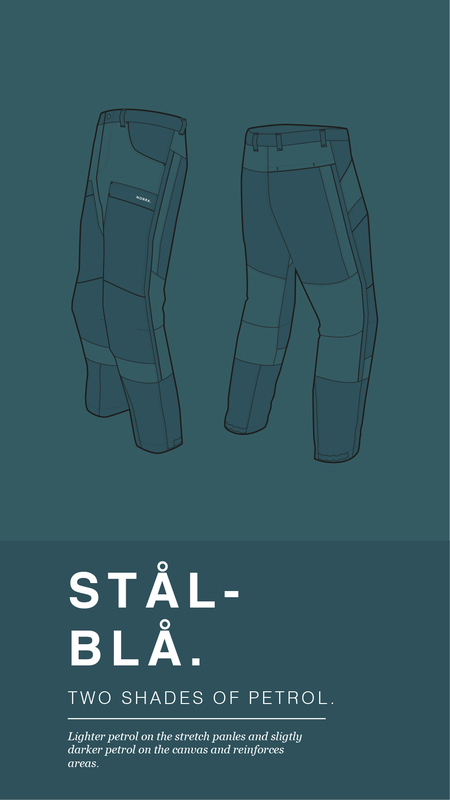 A while ago, we made a small survey on Instagram and Facebook regarding the coloring of our pants. 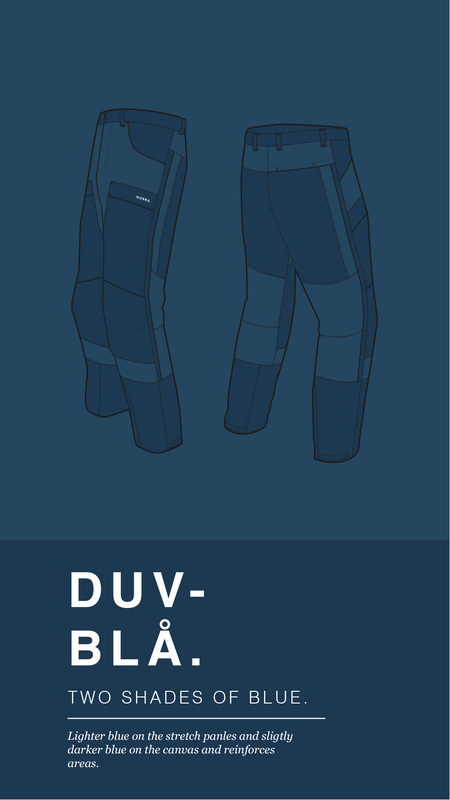 We wanted to know your opinion on four color options, so we asked our followers the simple question: If you only had one pair of outdoor pants, what color would you have? 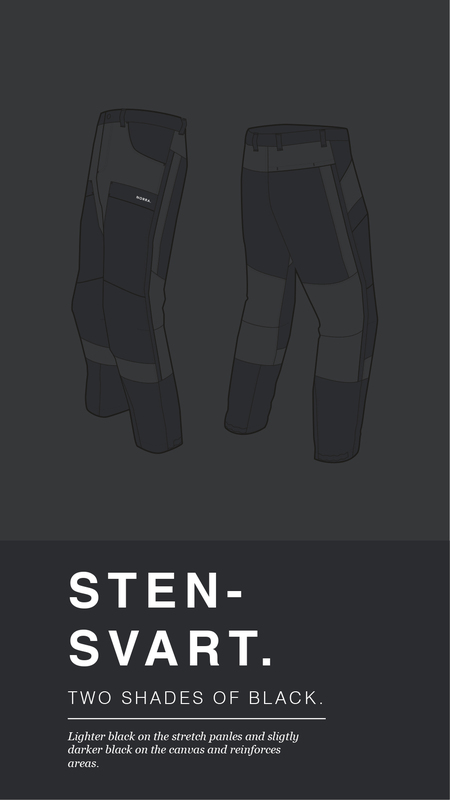 Even though many of you like the blue version, the “sten-svart” black version was the overall winner, and we decided to go for that color combination. This decision affected other decisions such as fabrics, trims and other materials. 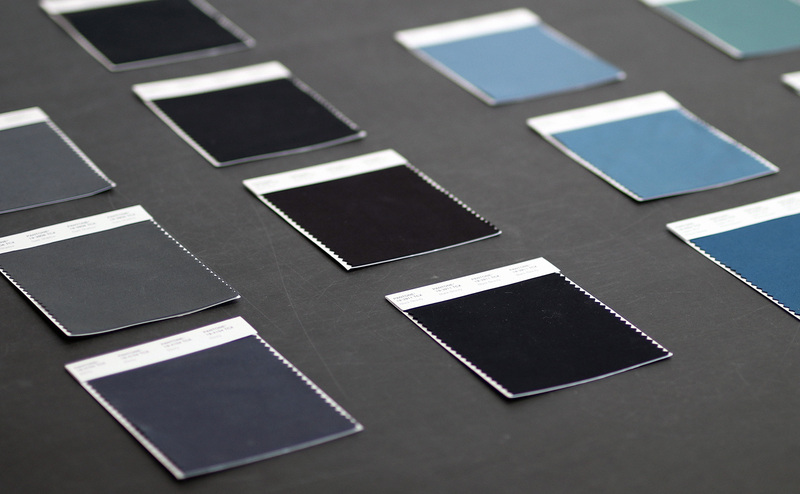 A bunch of different Pantones swatches was compared and once we felt that we had the right shades, we sent the swatches to our fabric partner. 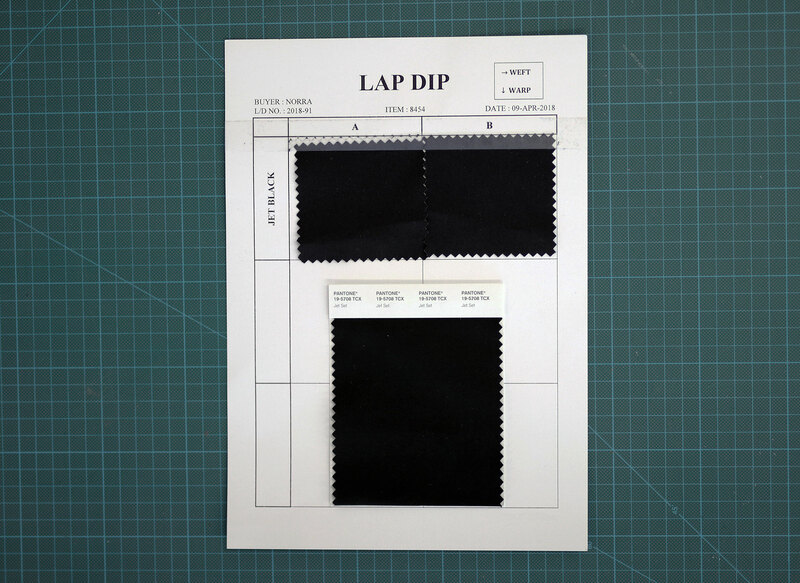 They created the right recipe for dyeing the fabric in the correct shades and send back small swatches of dyed fabric, called “lap dips”, that we then choose from. 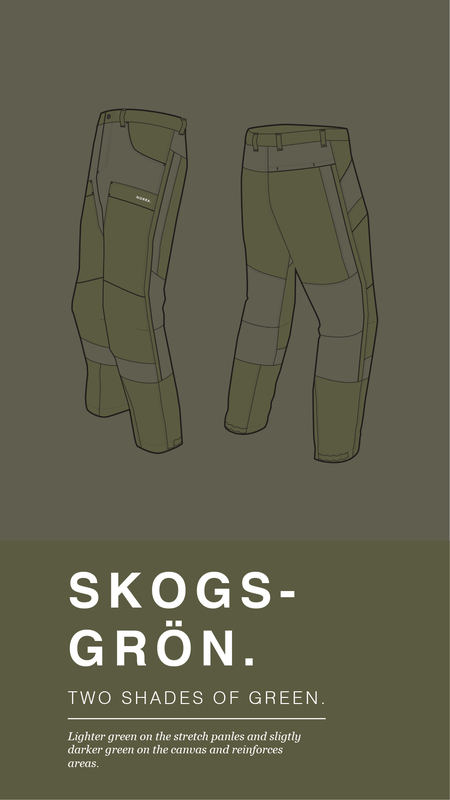 Once we agreed on the right shades they dyed a smaller amount, about 150 yards (137 meters), of fabric. This was a few weeks ago and after receiving confirmation fabric our production partner started to sew up test samples, that are now being tested. More info on that soon!